Considered amongst the most powerful platforms for accomplishing innovative and unique concepts, the Zend framework technology originates from PHP Runtime and is increasingly preferred nowadays for powering content management systems and web applications. Diligent Web Tech incorporates the Zend Framework Technology into clients projects for achieving all possible satisfactory criterias. The versatile Zend framework from Diligent helps achieve growth and organizational performances, as well as reliability and robustness of applications. It also facilitates higher security levels along with cost-effective high productivity, inclusive of customization and maintenance features as per your business requirements. Featuring numerous caching functionalities with monitoring and automatic diagnostic capabilities, the significance of Zend Framework technology is immense as it also furnishes PHP stack & server for executing PHP applications. Distinct and loosely coupled Zend libraries that are easy to use, and at the same time dependencies can be easily managed to a minimum. High compatibility with popular back-end database managers such as SQL, Oracle MySQL, etcetera. Facilitates MVC implementation for PHP based websites and templates. Easier and much more efficient object oriented coding in Zend programming. Convenient customization and code facilitates efficient utilization of new age web apps and websites. Contact us today and leverage the power of Zend Framework for your web applications of your business. 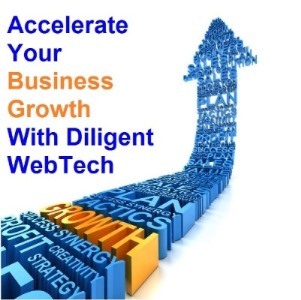 Diligent Web Tech, a one-stop-shop for all your Digital Tech!